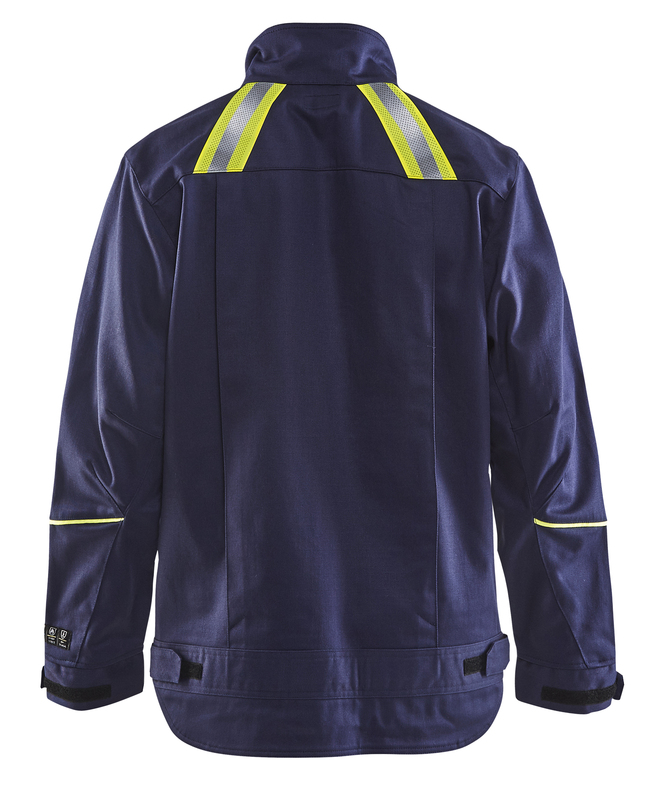 Welding jacket with reflective details for increased visibility. 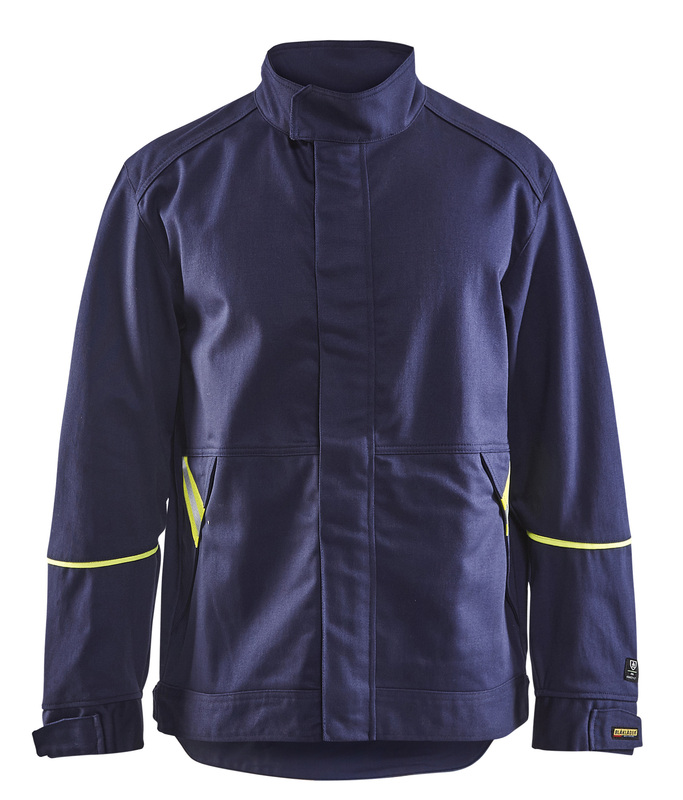 Comfortable fit with pre-bent elbows and adjustable sleeve ends with velcro. Certified according to EN 1149-5. EN ISO 11611 class 2 , A1+A2, EN ISO 11612 A1, A2, B1, C1, E3, F1, IEC 61482-2 class 1.